Kale green looks little ugly and will have very slight bitter in taste after cooked. But when we go for the vegetable markets this green look highlight. So in general most of us would not prefer this green. But this is very rich in nutrition. Also after cooking along with lentil the bitter taste will go away. Lets make very simple and quick Kale curry with Lentil. Wash the Kale greens to remove the sand/soil for 2 to 3 times . In parallel pressure cook the toor dal until three whistle and cool down. Do not release pressure until it released automatically. Chop the Kale into small in size. It used to be big leaves. So need to chop. In a pan heat 4 tsp of oil and add fennel, mustard, cumin, fenugreek seeds and Urad dal and fry until it start splutter. Then add chopped garlic and fry it until the raw smell goes away. Then add washed and chopped kale leaves and cook for 2 to 3 minutes. No need to add water since Kale itself will release some water. After that add Red chilli powder, coriander powder , turmeric powder and salt and stir it. Then cook for another 3 minutes. Finally add the cooked and smashed lentil and stir it and cook for a minutes. Now Kale is ready to serve. Okra's all parts like nut, leaf, seed and root are having full of medicinal properties. Much fiber in it helps to dissolve the cholesterol, and resolve the constipation disease. It cleanses the intestinal and get rid of Cacosmia. If some one not feeling well due to constipation or fever, we can make soup with tender okra with butter milk(More Kuzhambu) and can be added in the diet to resolve them. Having tender okra juice with sugar will resolve cough, dysury and irritability etc. Ladyfinger helps for beauty, masculinity. It helps to make interest on marriage life. Making powder of dry okra root and drinking with milk make sexual interest for both men and women. Increase men's libido. Helps to better urination, cooling body, dry skin and making shiny skin. It is the best natural medicine. The specialty of okra is its viscous and stickiness. Some kind of acid making this stickiness. While cutting or chopping this acid will come out. Some ladies finger will have similar to slight thin fur. We need to wash and wipe with papers. Then we can cut it. After cutting we should not put into water since the sticky acid will go away and taste will be reduced while cooking. 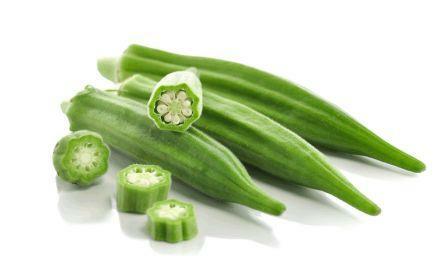 Okra has a fiber called Pectin which helps to remove bad cholesterol from body. It has Magnesium which helps to normalize heart beats. 100Gram okra has just 66 calories. For these reasons, okra is considered as one of the best vegetable in India. 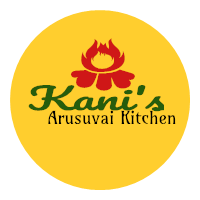 Traditional Food Idli/Rice Cake Secrets!! 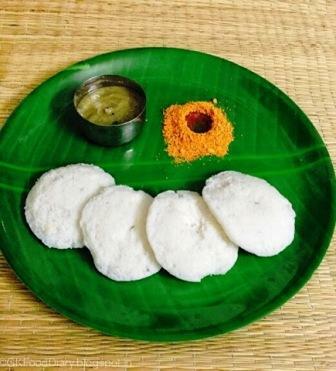 Idli/Rice Cake is one of the breakfast item which south Indian eat often. Most of us don't aware what all are the hidden benefits in it? Let's get to know together now. We are Soaking rice, Urad (black gram) dal and making into batter. Then leaving the batter for overnight and making in to nice Idli Dosa for breakfast. It was recently confirmed that this is the best double nutritional food. Vitamins, Fiber, Iron, Calcium and Phosphorus in the rice and Urad dal act as antitoxin medicine. Due to the soaking process, Amino acid in it increasing into multiple times. Amino acid called Lysine which helps to repair tissues, increasing three times. Gamma-Aminobutyric which helps to good functioning of kidney increasing to10 times. Due to the over night soaking process, we get nutrition's like minerals , amino acids similar to Bengal gram(Chickpea) which we soak overnight. Lysine acid helps to control the hungry. We can get this acid from Idli easily. So eating Idli will remove out the hungry faster and you will not feel hungry for longer time. It will be good to have Drumstick Sambar (Soup) or Drumstick leaves Raita (Mixed with salt and yogurt) along with Idli or Dosa. Otherwise, some green raita. Else, Mint/Coriander Chutney. Because Vitamin -C helps to keep lysine acid for longer time in our body. This Vitamin- C is much available in greens. Its not meaning that we can take more Idli/Dosa's. If we have more than 5 Idli, it will not be good for health. So, Idli and Dosaare better food than Rice/Wheat food. kitchen. Lets make Potato Rosti. The below one serve for one. Peel out the skin of the potato and shred into very thin. Crack the egg and add into the potato. have some moisture which is absolutely fine. Heat one tablespoon of butter in a pan. Once butter melted spread the potato mix into round shape. Cook another 2 minutes. Once both side cooked fine, switch off the flame. Now Potato Rosti is ready to serve. Trichy is famous for Malaikottai, Srirangam, etc. Off course for banana harvesting as well. Banana pal curry is one of the famous and popular recipe at Trichy. Let's see how we can make it. Peal out the raw banana outer skin and cut into small circles. Keep the cut banana into the water to avoid the dark color. Make the coconut milk. If you have ready made coconut milk that's fine. But home made will give the perfect taste. Grind the grated coconut with 5 green chilli into smooth paste. If you have the coconut after taking out the milk, you can add that as well. Heat 2 tsp of coconut oil in a pan. Once oil hot, add cinnamon stick and cloves. Then add slit two green chilli and fry it. Then add chopped pearl onion and stir it. Once onion gets translucent add turmeric powder and stir it. Now add two cups of water and bring to boil. Now add salt as per your taste. Now add the cut raw banana and close lid for 2 minutes. After two minutes, add ground coconut green chilli paste and stir it. Then add coconut milk and leave it for 30 secs. After adding the coconut milk we should not boil more since it will spoil the taste. Before switching off the flame add crushed fennel seeds on top. Now the tasty Vazhakkai pal curry is ready to serve. idli. Lets see how to make now. Add two tsp of oil in a karandi and heat. Cook for a minute. Now you will see the omelette become similar to a big idli. Rotate each side until both sides cooks well. Once cooked completely, remove out from Karandi. That's all. Now the Karandi omelette is ready to serve. We used to take egg burji/podimas frequently. But, for a change I tried with Burji with Fish(Tilapia). The result came out very good. It is very easy to make it and we can make it in very less time. It is a very good evening snack and can be go with as any side. Lets make it now. Then add all masala powders, Curry leaves and salt and fry it. Once raw smell goes out, add fish fillets and leave it for 3 to 4 minutes. Generally fish will cook faster. Add oil if you feel fish is burning out. After 3 minutes rotate into other side and cook for another 2 minutes. After that, stir completely with a spatula. Mince it as much as possible with spatula. Thats all now Fish Burji is ready to serve. Kalakki is one of the famous Tamilnadu road side dish. Most of the small fast food and small paratha restaurant prepare instantly and provide this hot kalakki. This is my one of the favorite recipe I used to order along with dosa and paratha. Let's make it in my kitchen today. Break egg and beat with little salt. Heat a pan and add oil. Once pan little hot enough, spray the beaten egg. Just immediately squeeze gently with the spatula as per the snap. We should not need to swap to other side. Once half cooked just sprinkle with the chopped onion and serve it. That's all Kalakki is ready.